On the Blog: Dr. Alan Touch is continuing his series on the 21st Century Cures Act. 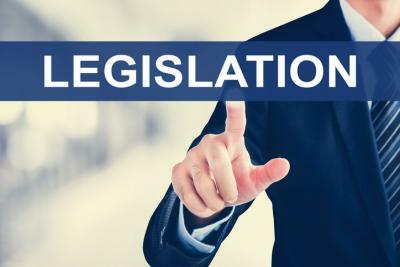 Learn more about the new legislation and impacts for medical device and diagnostic product development. The 21st Century Cures Act, (Passed December 13, 2016), represents three years of cooperation between Congress, the FDA, and industry to modernize the current legal framework within which the FDA does its work. Although the news headlines have featured the large funding of the Cancer Moonshot and the bolstering of FDA staff and resources, key provisions are also aimed at allowing and supporting the development of innovative technology in medical devices and diagnostics among other things. There are at least 10 sections that directly affect medical device and diagnostics product development and several dealing with administrative changes in the operational structure of the FDA, which will have process effects on the relationship with the agency and where submissions will be evaluated. We will continue with a series of blogs addressing the content and implications of implementation of these various sections. In the past, there have been problems with fitting newer type technologies into the traditional 510(k) classification process leading to an increase in the De Novo model of classification. That has still left a gap for truly innovative technologies to be considered for a more streamlined approach. Thus, this Section deals nicely with the problem facing life-saving, or preserving, innovative devices and diagnostics. A breakthrough device is one that “is intended to treat or diagnose a life threatening or irreversible debilitating disease and is considered breakthrough technology; has no approved or cleared alternative; offers significant advantages (superiority) over available therapies, such as reduced hospitalization, improved quality of life, or improved patient self-care; and the availability of the device is in the best interests of patients”. The process of getting qualified includes a data development plan and written protocol agreed and binding on the FDA. The guidelines encourage heightened interactive communications and timely dispute resolution. The early guidance on this will be important as will be the creativity of the sponsor. We will discuss this in future blogs. The humanitarian device exemption now allows a device to include any population up to 8,000 patients—an increase over the previous 4,000. This is meant to broaden the idea of an orphan type indication for devices. This should encourage development of technology aimed at the same population but with better financial incentives (implied not stated). The FDA is required to add additional devices to the Class I and II categories that are exempt from filing a 510(k). There are many devices that are low-risk and still have attainable claims without undue burden to the device maker. Nevertheless, device makers should be aware that to get reimbursement and acceptance by the medical community, studies are advised, as are wider evidence based observational data gathering (now excepted by the FDA as non-clinical trial information). In the past, there have been certain requirements for certain types of devices that a local IRB be used for each site in a multi-site study, substantially burdening the sponsor and investigator and administrators. This provision now states that for multi-site device studies a central IRB for all sites is satisfactory. This will encourage the use of more community-centric sites and fewer academic sites, getting closer to the “real world” targets currently in vogue at the agency and as a goal in the Cures Act. The changes also affect the CLIA process and the requirement of the FDA to issue new guidance for needed clinical trials to attain a “waiver” status for laboratory diagnostics (not to be confused with laboratory developed tests). Relevant Sections of the 21st Century Cures Act on the medical device landscape have a central goal. The goal is to remove unnecessary burdens on some devices, open the pathway for innovative new device technology, and conform the world of diagnostics to the reality of what is or is not needed to gain market access. This is being done by broadening the definition of “waived” tests without removing some important clinical trial requirements. 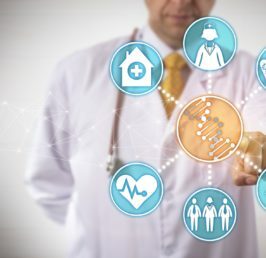 Here again, from a go to market strategy point of view, companies are wise to consider carrying out extensive evidence based studies to gain acceptance by the medical community of tests that now meet the criteria of “waived.” This will be a huge benefit for the point of care markets as generally applied in doctors’ offices.